When deciding if to raise a venture round, its critical to ensure your venture investor shares the vision for the company: both the product roadmap and the financial goals of the company.Most founders never consider the impact on fund size on VC motivations. As long as there are enough reserves to invest as the company grows, a founder might think, thats fine with me.But this is naive. Fund sizes dictate a VCs strategy. To achieve their target returns, a $50M fund and a $500M fund must pursue very different investment and management styles. read on: Why Fund Size Matters by Tomasz Tunguz. The market is flooded with addictive mobile apps that generate millions of downloads but not millions (or even thousands) of dollars. Where does this leave mobile-focused investors? Skeptical, to say the least. “Millions of users does not translate into millions of dollars in revenue,” said Jenn Wei, an investor at Silicon Valley-based Blumberg Capital. In New York, FirstMark Capital’s Matt Turck shares similar concerns. He refers to mobile apps and games as a “trickier group” to fund because they have traditionally been so focused on user acquisition. According to Sidecar cofounder Jahan Khanna, that tech entrepreneurs build apps that people think are cool — but not worth paying for — compounds the problem. “While these seem aligned, they often are not,” he said, and as a result, mobile startups often hemorrhage cash. However, the language is starting to change. In Silicon Valley, we are starting to see a shift from observing user acquisition metrics to a more comprehensive view on engagement and retention. One million people signing up for a service might not make it valuable, but investors are more confident to hear that 250,000 people use an app three times a week for six months. Likewise MoPub’s CEO John Payne is confident that today’s mobile startups are currently investing in “resources in building and generating revenue from those users” will see success in the next two or three years. “Many times, experts from desktop are taking their playbooks and tailoring them to the smaller screen with a lot of success,” said Payne, whose company specializes in mobile monetization. read on: It’s the ‘second inning’ of mobile monetization & these startups are making bank | VentureBeat. The news that Google is shutting down Google Reader on July 1 of this year shook the Internet to its core this week. For many, it is the go-to feed aggregator that made looking deep into the heart of the online world possible from one window, and the news of its demise has us wondering what we’ll do next. What next? 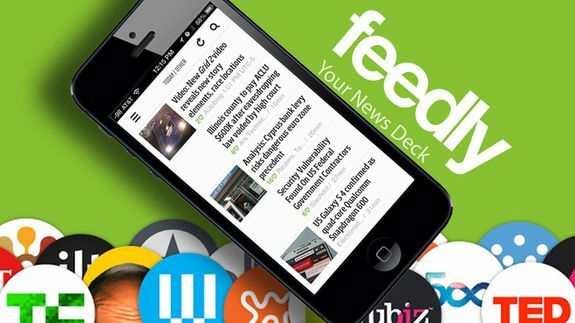 How about dumping Google Reader and switching to Feedly? In fact, a half-million people already switched in only two days. Having a sudden influx of 500,000 new users can be a lot to handle for any site, but Feedly seems willing to meet the challenges needed to greet lost Googlers with open arms. In a blog post, a Feedly blogger said the company is committed to keeping the site up and running despite the big jump in numbers. According to Center for Venture Research, Angel investing has become an increasingly popular way for investors to get in at the ground floor of the next generation of innovative companies. Over the last decade, the number of active angel investors has increased by almost 60% and the total amount of angel investments has increased by over 43%. I took the post by Ciarán today about the latest Earlybird fund as a impulse to complete a post longly overdue. End of 2012 we asked ourselves: being operational as angelfund.vc for 1+ year and investing in 5 deals so far, who have these people been we’ve talked to (statistic-wise) and what can we learn out of our data. and all where willing and motivated to build their business in Berlin! Most of those companies where in a stage between Prototype and Beta and had something to show not only from a pitch deck but also from a product perspective. Still, 33% did not have a CTO when they applied. Coincidentally, 32% of all applied companies where not active anymore when we conducted this infographic early in 2013. More then 75% of the teams worked more then 3 month – in particular 40% even worked more then 6 month full time on their company! We have seen a lot of Marketplaces and Aggregators but also Social Platforms and Networks where still popular. Since we only fund complete teams and teams that really can convince us, also these two contributed to the top 6 reasons of rejection. 45% of the companies changed their Business Model after application. 69 companies replied to a more detailed survey and of of those 30% (21 companies) of all applicants received money from somewhere else (13% received > 150k) – this equals 10% of all companies that applied received outside funding. Rumors surfaced late last year that the board was looking to oust Mason, following terrible third-quarter results. The news of Mason’s exit comes one day after Groupon reported yet another dismal quarter.